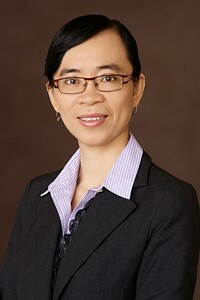 Joanna Huang - Bancorp Financial Services Inc.
Joanna joined Bancorp in 2005 and most recently held the role of Assistant Controller. Prior to Bancorp, Joanna held senior accounting roles in both public and private companies in Canada. Joanna graduated with distinction from John Molson School of Business, as well as from Concordia University with a Bachelor of Commerce Degree in Accountancy. Joanna is a licensed CPA, CGA from Chartered Professional Accountants Canada and is a licensed United States CPA (Delaware) from the American Institute of Certified Public Accountants. She is also a Certified Internal Auditor from the Institute of Internal Auditors. At Bancorp, Joanna is responsible for financial reporting, planning and budgeting, internal control and corporate accounting for Bancorp Financial Services Inc. as well as the two mortgage investment corporations that Bancorp manages.